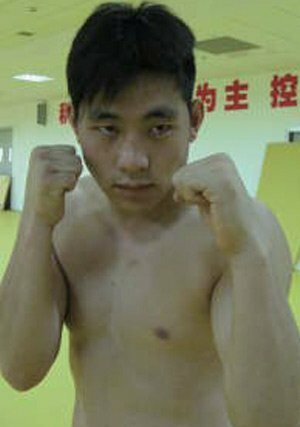 Continuing the posts of the Kung Fu Versus Muay Thai Challenge held in December 2009 Narepon Fairtex would fight his Chinese opponent, Liu Ceng Ceng at 70 kg. A few months back a challenge was rendered allegedly from a team of Thailand’s Muay Thai camps to of all places the Shaolin Temple of Foshan, Guangdong province in China. Excerpts from the story quoted the five famous Thaiboxers as saying that they wanted to “wipe out the Shaolin Temple”. Instead however a team of Sanda fighters picked up the challenge and I offered my rant about it. The rules of this bout and the entire event disallowed knee strikes to the head but allowed full Sanda rules. Now you can see the fight between Naruepon and his opponent and reach your own conclusions about it. Read Part 1 of the series on Muay Thai versus Kung Fu 2009 here. Read Part 2 of the series on Muay Thai versus Kung Fu 2009 here. Read Part 3 of the series on Muay Thai verus Kung Fu 2009 here. Read Part 4 of the series on Muay Thai versus Kung Fu 2009 here. ~ by fatsoking on March 23, 2010. All the sanda fighter did was run around and do ineffective throws, he wasn’t interested in fighting, he obviously knew that no matter how he did, he would win if it came to decision, ridiculous.